SAGE/CQ Press Interactive eBooks feature exclusive premium video content and study resources to help you succeed in your course. Cultural Anthropology integrates critical thinking, explores rich ethnographies, and prompts students to skillfully explore and study today and rsquo;s world. Readers will better understand social structures by examining themselves, their culture, and cultures from all over the globe. 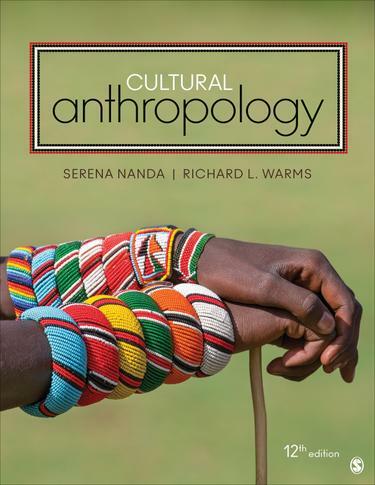 Serena Nanda and Richard L. Warms show how the analytical understandings and tools derived from over a century of systematically collecting data and thinking about culture can help students analyze, understand, and act effectively in the world. With a practical emphasis on areas such as medicine, forensics, development and advocacy, this book takes an applied approach to anthropology. The authors cover a broad range of theories, both historical and contemporary, without any insistence on any particular approach, and balance it with applied, contemporary, real-world global issues. The new Twelfth Edition includes a wealth of new examples and over 500 references that update ethnographic examples, statistical information, and theoretical approaches.